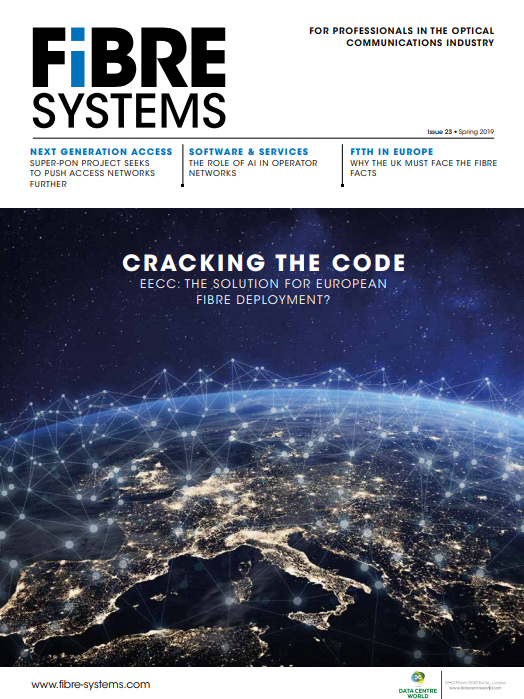 Several demonstrations at the ECOC 2015 Exhibition in Valencia, Spain, this week, indicate that test and measurement vendors are putting significant effort into testing of single-carrier 400Gb/s transmission. And where the test and measurement vendors go, the rest of the industry is sure to follow. Anritsu, Coherent Solutions, Oclaro and Teledyne LeCroy have come together to develop the industry’s first commercially available R&D platform for testing single-carrier coherent optical communication systems and components operating at 56Gbaud and beyond. Using 56Gbaud symbol rate with 16-point quadrature amplitude modulation (16-QAM), which encodes four bits per symbol, enables 400G transmission using a single wavelength rather than the two currently used in commercial systems – and represents the next evolution in data rate on the line side. A key component in the demonstration is Oclaro’s 400G single-carrier lithium niobate modulator that was announced last week (see Oclaro samples lithium niobate modulator for single-carrier 400G networks), which is the industry’s first device being sampled that has been explicitly designed to enable 400G and beyond speeds on a single wavelength or carrier. In the demonstration, signals are generated electrically, converted into a single-carrier 400G coherent optical signal, transmitted, detected and finally analysed by the combined equipment. The 56GBaud electrical signals in the demonstration are generated by Anritsu’s MP1800 Signal Quality Analyzer used in combination with their recently introduced MP1861A MUX module (see Anritsu adds 56G and 64G modules to MP1800A BERT). The new 40GHz IQTransmitter from Coherent Solutions translates this into an emulated dual-polarisation optical signal with assistance from Oclaro’s 400G single-carrier modulator (see Coherent Solutions debuts IQTransmitter for 56Gbaud test). The performance of the optical transmission system is then analysed by the Teledyne LeCroy LabMaster 10-65Zi-A optical modulation analyser (OMA) system, incorporating the new IQS70 70GHz coherent optical receiver and OpticalLinQ analysis software. Elsewhere on the show floor, Keysight Technologies displayed its new M8196A arbitrary waveform generator, which can generate electrical signals up to 64Gbaud. A modular instrument, it offers up to four synchronised channels in the same platform (see Keysight introduces 92GSa/s arbitrary waveform generator).